Monarch Air Group provides private air charter in Gainesville, FL. Our clients benefit from top-notch service, unrelenting dedication to safety, wide selection of aircraft, and years of experience in chartering private jets. To obtain a free quote, please use our online quoting tool provided below, or call toll free 1-877-281-3051. Monarch Air Group provides private jet charter flights in and out of Gainesville, Florida, USA. Gainesville is a city in north central Florida with a population of 124,354 people and a total area of 49.1 square miles. 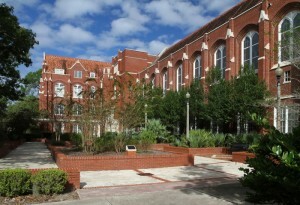 It is well-known for being home to the University of Florida. In 2007 Gainesville was ranked by National Geographic Adventure as one of the best places to live and play. The city is renowned as a supporter of the visual arts. The most popular tourist attractions include Florida Museum of Natural History, Butterfly Rainforest, The Hippodrome State Theatre, Kanapaha Botanical Gardens, Samuel P. Harn Museum of Art, Santa Fe College Teaching Zoo, Marjorie Kinnan Rawlings Historic State Park, Thomas Center, and much more. The city is served by Gainesville Regional Airport (GNV / KGNV), which is located just 5 miles from the center of Gainesville. 1. CDK, Lewis, Cedar Key, United States. 2. CRG, Craig Municipal, Jacksonville, United States. 3. CTY, Cross City, Cross City, United States. 4. GNV, Gainesville Regional, Gainesville, United States. 5. JAX, Jacksonville,, Jacksonville, FL, United States. 6. LEE, Leesburg, Leesburg, United States. 7. NEN, Olf Usn, Whitehouse, United States. 8. NIP, Jacksonville NAS, Jacksonville, United States. 9. OCF, Taylor Field, Ocala, United States. 10. UST, St Augustine, St Augustine, United States. 11. VQQ, Cecil Field, Jacksonville, United States. 1. Hampton Inn & Suites Gainesville Downtown, 101 Southeast 1st Avenue, Gainesville. 2. Paramount Plaza Hotel & Suites, 2900 Southwest 13 Street, Gainesville. 3. Quality Inn University, 2435 Southwest 13th Street, Gainesville. 4. Hampton Inn & Suites Gainesville Downtown, 101 Southeast 1st Avenue, Gainesville. 5. Paramount Plaza Hotel & Suites, 2900 Southwest 13 Street, Gainesville. 6. Quality Inn University, 2435 Southwest 13th Street, Gainesville. 7. Holiday Inn Hotel Gainesville, 1250 W University Ave, Gainesville. 8. Hampton Inn & Suites Gainesville Downtown, 101 Southeast 1st Avenue, Gainesville. 9. Paramount Plaza Hotel & Suites, 2900 Southwest 13 Street, Gainesville.